It's twilight on Lake Bled's only island - the Church of the Assumption rises in the center. Photo: WikiMedia.org. For those who love to vacation on or near the water, there's a tendency to look toward southern Europe's incredible beaches and coastal towns. Indeed, all along the Mediterranean Sea and near Spain and Portugal's coasts on the Atlantic, travellers can find some of the most picturesque beaches, and most pleasant coastal towns, anywhere in the world. 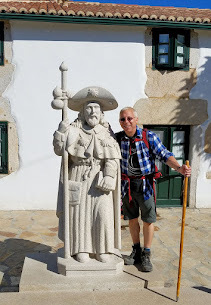 However, for travellers who like to find destinations that are "off the beaten trail," so to speak, it's important to recognize that European tourism for water lovers isn't entirely limited to the southern coasts! 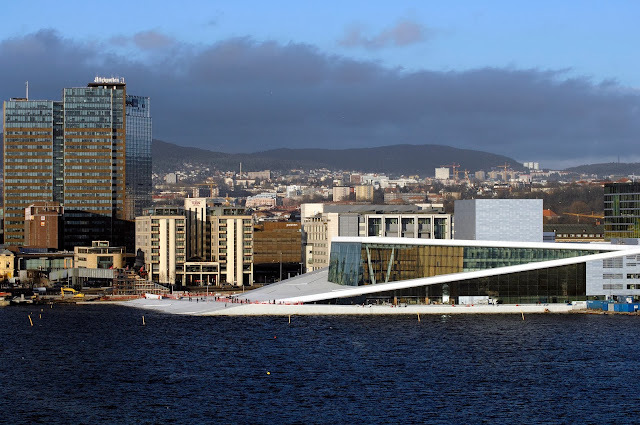 Specifically, Europe is home to absolutely stunning lake regions and accompanying towns. Now, a lake vacation isn't always the same as one to a warm, seaside beach, but it can certainly be just as enjoyable—and even more beautiful. 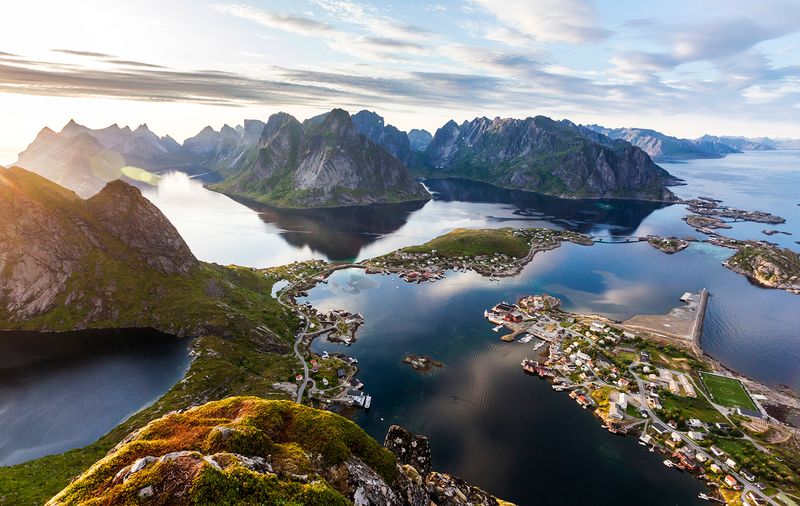 So with that in mind, here are our picks for Europe's top-five lake destinations. Benvenuti a Lake Orta in northern Italy, just one of many in Italy's Lake District. All photography property of Travel Marketing unless otherwise noted. Unauthorized use is prohibited. 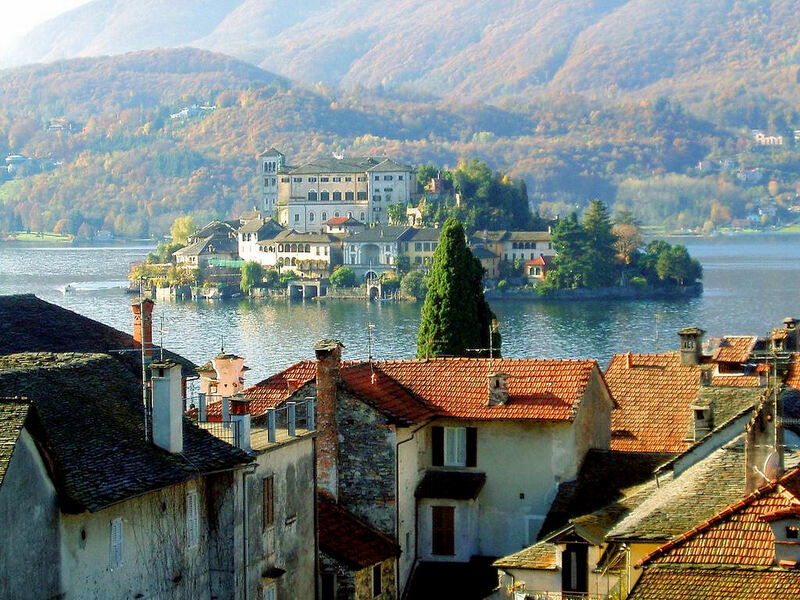 Also known as the "Godfather of lakes" in Europe, Lake Orta is about as picturesque as tourism gets. Located in northern Italy, Orta itself is a charming village with colourful architecture, wonderful food, and stunning views of the lake. Don't miss the daily boat trip to the island situated in the middle of the lake. The island itself is wonderful to look at, but the boat trip is a common highlight for visitors. 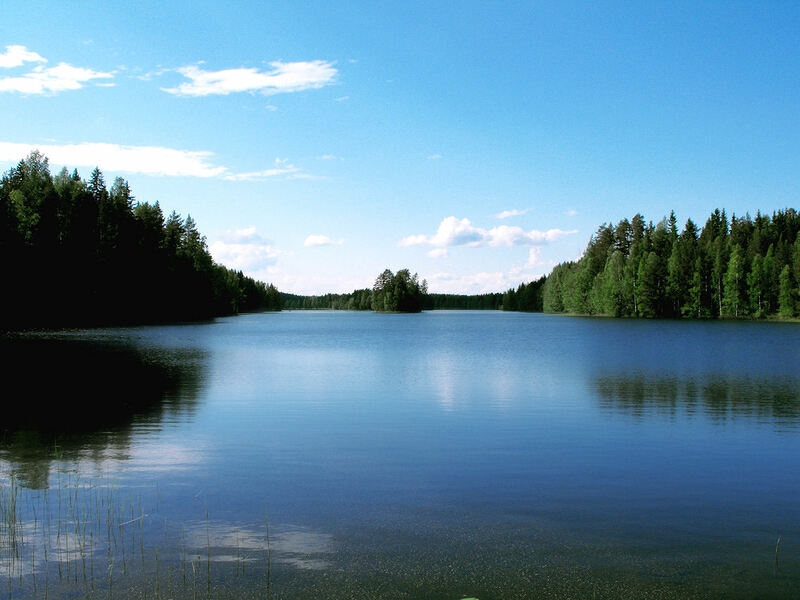 The Saimaa Lake region promises pristine waters and spectacular landscapes. The Saimaa lake region draws thousands of tourists to Finland and features several the most delightfully still waters you'll have ever seen. Finland's largest lake and Europe's fourth largest, Lake Saimaa offers dramatic scenery among its countless activities for the region's visitors. During the summer in particular, there's fishing, swimming, and canoeing. 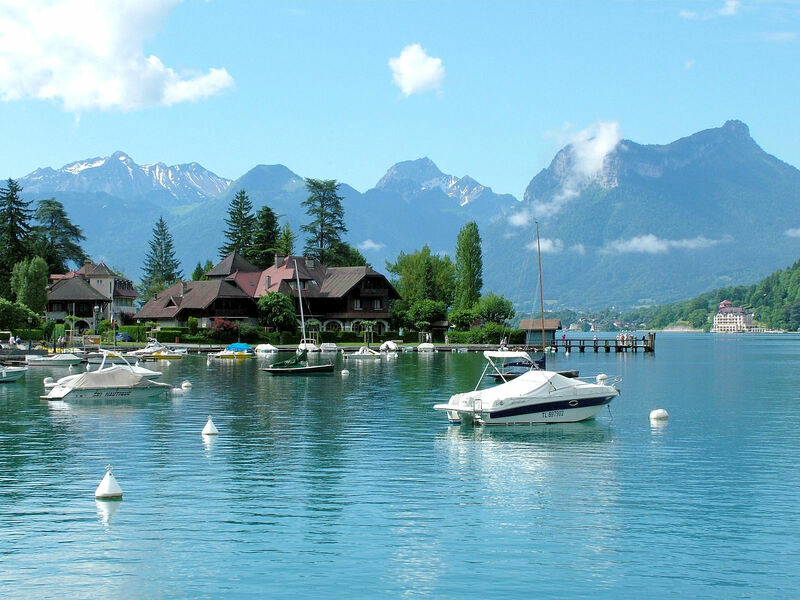 Lake Annecy near the borders of France, Switzerland and Italy offers a holiday on the water without the hoards of tourists. Part of the Savoie lake region in France, Lake Annecy may just make you feel as if you're actually in the south on the Mediterranean... just without the crowds! It's a bit remote, but a realistic drive (just one to two hours) away from the popular destination of Grenoble to the south. Lake Constance unites Germany, Austria and Switzerland with shared borders. This is one of the most intriguing lakes in Europe, simply because it touches so much of the continent. Germany, Austria, and Switzerland each claim coastline along its periphery though many of the highlights are on the German stretch. 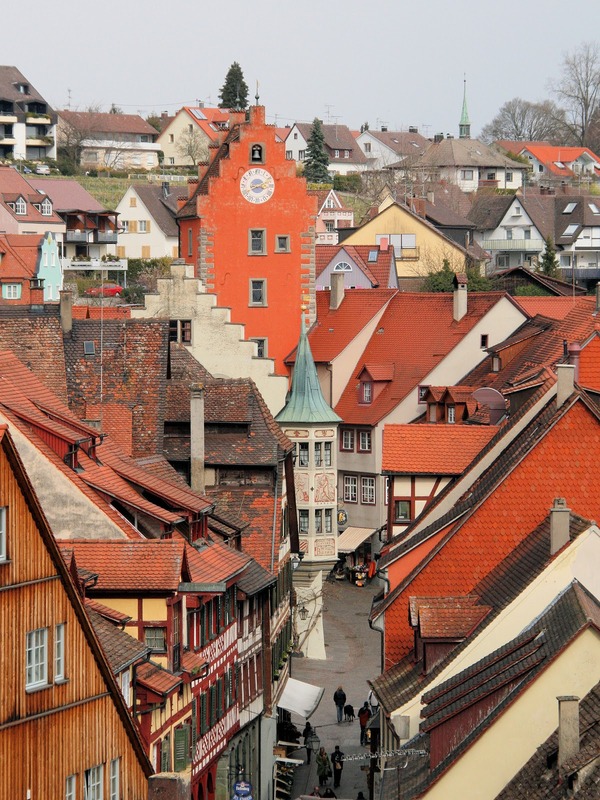 These highlights include Lindau, a beautiful small island town, and Meersburg, quintessentially medieval Europe. 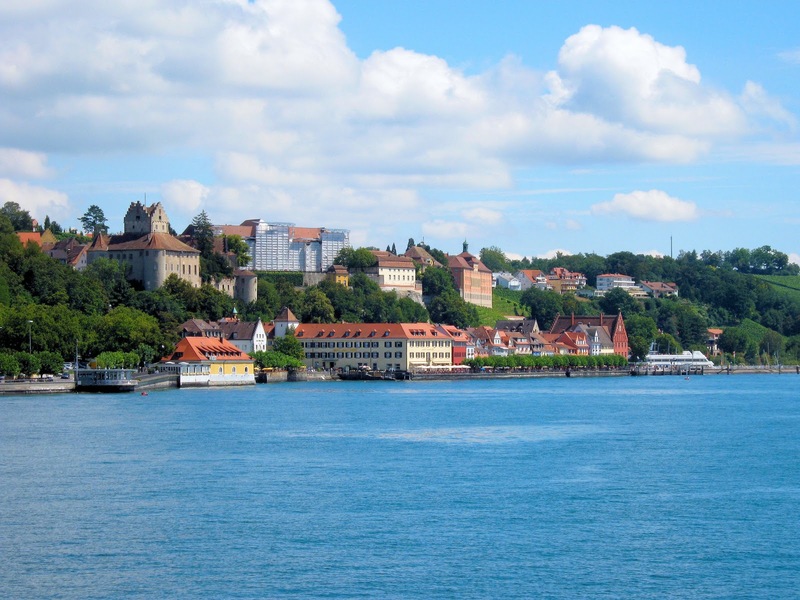 Meersburg is split into the Unterstadt or lower town and the Oberstadt or upper town. Photo: WikiMedia.org. The natural wonders of Lake Bled in Slovenia. If dramatic scenery is your thing, Lake Bled is like something out of a fantasy film filled with natural splendor. Situated at the foot of the Julian Alps, Lake Bled is a glacier lake featuring renowned hiking and cycling trails. There's even a castle with commanding of the surrounding Alpine landscape and an old winery! But the piece de resistance is the lake's only island and the Church of the Assumption. Don't miss this! Pletna or ferries are the primary transportation on the lake since motor boats are not allowed. 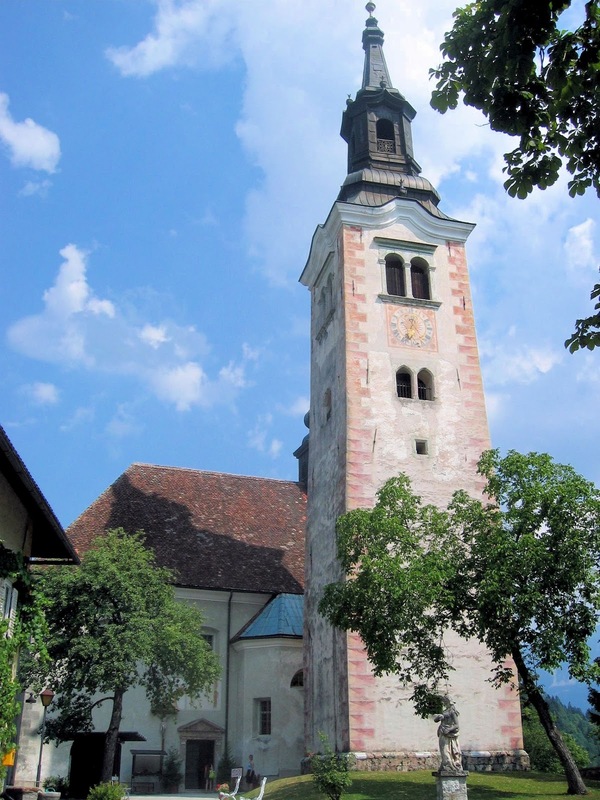 The Church of the Assumption on Lake's Bled only island, and 99 steps will take you there upon disembarkation from your pletna. Photo: WikiMedia.org. The truth is that Europe is full of gorgeous lakes. In any single country there are close to a dozen options that make for wonderful tourism. These five, however, are a great start! But what are your favorites? I can think of a few: Lake Hallstadt, Lake Garda, Lake Como, Lake Geneva, Lake Maggiore—among others. Guided tour of Lake Garda in Italy's Lake District. Inspiring theme, Jeff! Is there any greater photo op than a mirror-like lake? And the lakes with mysterious little islands in the middle of them--WOW! While this is a guest post, I sure hope to see all of these places someday. When my friend asked to post, I said YES!!! All of it is so gorgeous! Thank you so much for stopping by and for your kind words!! Yes there are more Lake Bled panoramas available. On the southwest side of the lake there are hiking trails that lead to two really great views. Thanks so much for the added tips my friend and for stopping by too! Hi there Mike and thank you so much for stopping by. I agree with you 100% - how do you choose from all of the stars in the heavens? Thank you for you kind words too! Aahhh, lakes, I love them. They make me feel tranquil, which is why I love staying or walking around them. These are lovely! I couldn't agree with you more Marlys! What a great way to spend some down time and commune with beautiful surroundings such as these! Thank you so much for stopping by! All of these look lovely and Lake Bled is the only one that I have heard of before! Have never considered a lake vacation in Europe but it looks like quite a relaxing holiday! I hear ya! Lake Bled was the only one I have heard of before and it's long been on my bucket list for sure! Italy's Lake District has been calling me as well!! Thank you so much for stopping by and sharing your thoughts! Yes, Jeff, I'm a water baby so these appeal to me. Water, whether a river, lake or the sea is so calming and always inviting. Thanks for the intro to three new Lakes - Constance, Saimaa and Orta - and new European holiday destinations. That is a spectacular shot of Lake Bled. Hi there Water Baby! ; ) I too love the water especially the UK and Italy Lake Districts and the rivers as you know! Thank you so much for stopping by and sharing your thoughts! Lake Bled looks amazing and is the one I'd most like to see. I did boat on Lake Como in Italy and thought it was lovely as well - and Lake Orta looks similar. G'day Leigh! I couldn't agree with you more!! I must visit Lake Bled soon! It's been on my list for a long time as are the Italian Lakes as well!!! Thank you for stopping by and sharing your thoughts! Thank you so much for your comments and suggestions too!! The more, the merrier! Having lived close to Lac d'Annecy and taking all of our visitors there, I can't recommend it highly enough - for me it's one of the the most beautiful parts of France. Though I absolutely disagree with your guest blogger that "it's a bit remote" - it's only 30 minutes drive from Geneva on a major Autoroute! If I can add a slightly off-the-main-trail lake of my own to the list it would be the Walchensee in Bavaria, roughly halfway between Innsbruck and Munich. It was very undeveloped and unspoilt, and the equal of any of the other bigger and more famous Alpine lakes. Hi there Troy. Thank you so much for the clarification on Annecy! I really appreciate it and your added tips about Walchensee as well. 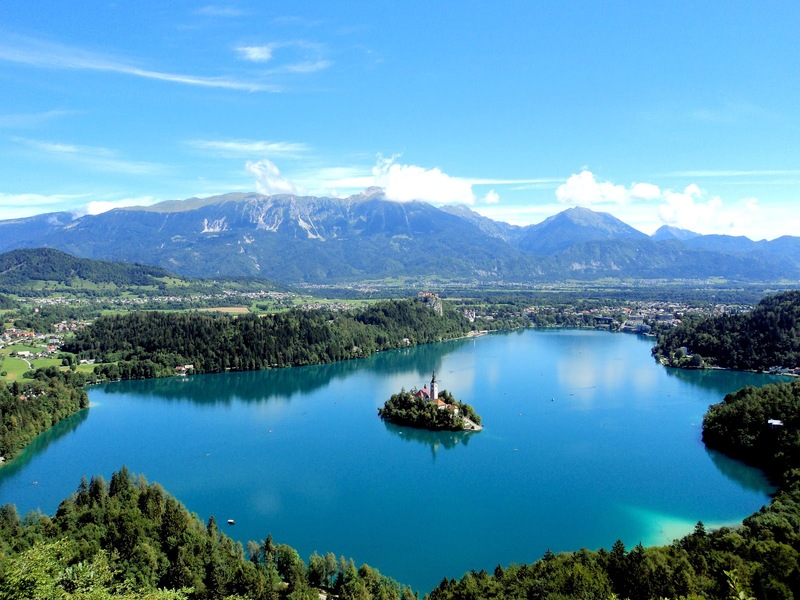 I have only heard of Lake Bled too but it's great to see the rest of these beautiful lakes. It's been on my travel wish list. But, after seeing the rest, I really should make an effort to see the others especially the ones in Italy. We visited Lake Chiemsee last summer near Munich and it was wonderful. Great post and inspiring ideas. Wow!!! So so pretty. :) Europe is insanely gorgeous...I can only gasp. Hi there Renuka. I couldn't agree with you more! I love Europe too! Thank you for stopping by and sharing your thoughts!! Hi there Freya! Thank you so much for stopping by! I couldn't agree with you more my friend. So many wonderful lake destinations throughout Europe. Bled would be a wonderful place to start! Europe is indeed full of gorgeous lakes. Don't often hear of Lake Orta, though, a nice inclusion. Hi Sophie! Isn't it fantastic? So many wondrous places to visit but where do we start? Perhaps Lake Garda in northern Italy? That would be #1 followed by Bled. Thank you so much for stopping by and sharing your thoughts! 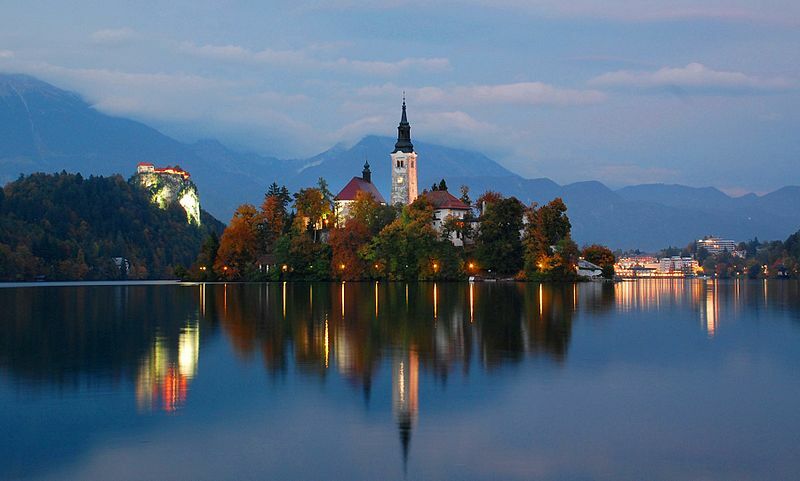 I'd love to visit Lake Bled in Slovenia for sure--and Lake Como! Hey Charu! I am with you my friend, but we must stop by Lake Garda as well, if that's okay with you. Thank you so much for stopping by and sharing your comments.